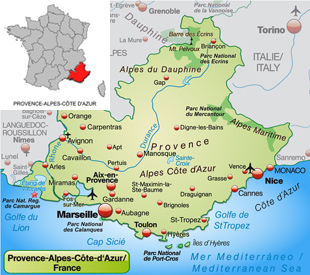 While the administrative region of Provence-Alpes-Côte d’Azur encompasses the departments of Alpes-de-Haute-Provence (04), Haute-Alpes (05), Alpes-Maritime (06), Bouches de Rhône (13), Var (83) and Vaucluse (84), for the purposes of this guide we will focus on central and western Provence starting from the Vaucluse and the foothills of the Alps and descending to the coast, to the west of Hyères, which marks the point of transition into the Côte d’Azur. The population of Provence-Alpes-Côte d’Azur as a whole is around 4,900,000 – a figure which rises dramatically in the holiday season. The Alps are only an hour drive from the coast and really are a haven during the summer with stunning lakes instead of the sea to cool down in. Panoramic mountain walks and both summer and winter sports ensure that there are visitors to the area all year round. The main urban centers are Aix-en-Provence, Avignon, Digne, Gap, Gordes, Nice, Marseille, Saint-Rémy-de-Provence, and Toulon. Central Provence features high plateaux and a hinterland of steep, forested hills covered in pines, eucalyptus and wild herbs, while to the west, the marshlands of the Camargue are famous for their wildlife. 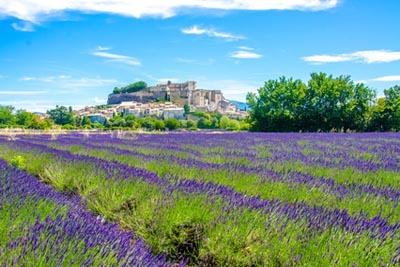 The Alpilles and the Luberon natural areas, with their lavender and vine-covered lower slopes are a well-established country retreat for Europeans and Americans, thanks in part to Peter Mayle’s best-selling tales of life here, and it is the location for many upmarket holiday homes. The region is known for its bounty of natural produce; olives, herbs, truffles, mushroom, and the increasing popularity of its wines. While tourism is the driving force of Provence-Alpes-Côte d’Azur, the region is also in the lead in innovative sectors, such as biotechnology and microelectronics, and is home to the Cadarache French scientific research facility. Provence, extending from the Eastern Var to the North Luberon without forgetting the Alpilles, offers property opportunities for almost every budget and tastes. Provence is known to be a very popular and expensive “region” of France and some of the most well known towns such as Gordes, St-Rémy-de-Provence or Aix-en-Provence will not prove this reputation wrong. However, by exploring around the most famous villages you will discover areas that benefit from the same Provençal lifestyle without such a high price tag. 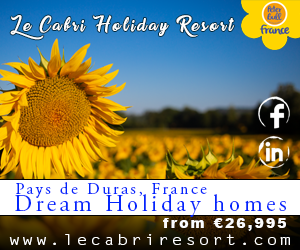 For instance, places in the North of the Luberon (such as Saint-Saturnin-lès-Apt) or the area around Mirabeau and Pertuis in the East Luberon – well known for its lavender fields – offer great value for money. If you are looking for something closer to the coast at reasonable price, the central Var can be a great solution with its beautiful vineyards and typical Provence towns such as Lorgues, Cotignac or Salerne. Inland Provence enjoys hot summers (July and August can be particularly warm) and mild winters, making it the perfect place to live or buy a holiday home. Furthermore, the region benefits from extremely low levels of rainfall, notably in the Bouches-du Rhône department. Another important climactic factor to note is the mistral wind that blows down the Rhône Valley. It can lower temperatures considerably in winter in the lower part of the valley and even the Marseille area. Average temperatures for Aix-en-Provence are below, though there will inevitably be regional variations. There is lots of great access to Provence via airports at Marseille, Toulon-Hyères, Nîmes and Avignon, while to the west over in Languedoc is Montpellier and on the Riviera coast to the east is Nice. Those travelling by train can enjoy the scenic route with direct trains from London St Pancras to Avignon and Marseille, or via a change to Aix-en-Provence. Full journey details can Be found at Voyages-SNCF or Eurostar. Cross-Channel ferry or Eurotunnel users can take use the motorway network from Calais via Dijon and Lyon. Expect the journey to take round 9.5 to 10 hours. 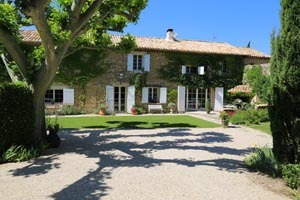 Property in Provence is more expensive than most other parts of rural France, and real bargains are far and few between. The cheapest properties in need of renovation, but what might appear at first glance to be a charming villa, is in fact a major renovation project needing a total makeover, including new roof and sanitation, so you’ll need to have the necessary funds, vision and energy to pull it off. Houses tend to be slightly cheaper heading north from the coast, and the A8 autoroute running east to west marks the boundaries for this divide. The inland Var is perhaps the most unspoilt areas, with rolling hills, valleys, plantations, pine forests, lakes, waterfalls, vineyards and row upon row of olive trees. As a quieter place it can be happier hunting ground for those wishing to spend a little less, however, if you are looking for a year-round home it is a good idea to check the area in the low season to make sure that it is not too quiet. Another area that is worth looking at for good property value is the equally beautiful Drôme Provençale, to the north of the Vaucluse. While strictly speaking it is outside of the administrative region of Provence, it is traditionally considered as part of it. 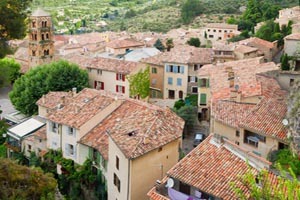 Overall, the demand for property in Provence is greater than ever. With so much to offer in one region, its growing popularity and property prices are to be expected especially as Provençal holiday homes in good locations can command very high rents from May through to October and it is a region of France for which many people choose to retire. The traditional Provençal equivalent to the maison de maître, which was historically used by its noble owners as a holiday house, the bastide is a symmetrical stone building with at least two storeys and big windows. Most of the time the bastide house will be part of a bigger property with outbuildings used by the farmer working the land it sits on. 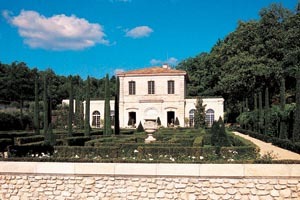 A bastide is usually on the upper band of the price scale, starting at around €900K and up. The other typical stone house in sunny Provence. They are very desirable and many Provençal mas have now been turned into holiday homes, however they first conceived as rural properties, linked to the local farming economy. They vary in size and have been gradually expanded as the family living in them grew, therefore they are less structured or symmetrical than a bastide. All the mas were built with a south-facing orientation to protect them from the strong Mistral winds. 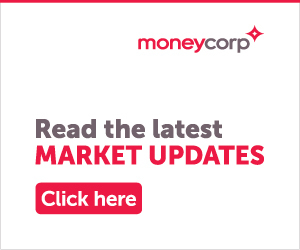 Depending on location and size of the building and surrounding land, a mas can often command a price between €600,000 to €1.5 million. This is a more modern type of property that has now become typical of the Provence region (and of the south of France in general). These contemporary houses have clean lines, land lots of space. They offer the comfort of modern convenience. You can find these villas in a very wide price range depending on location, starting at €300,000 and reaching up to several million. Typically the Provence village house comes with original features such as floor tomettes (ceramic tiles), or a fireplace. Many of these houses are built on a tight footprint and make the best of vertical space, so they tend to be very tall (two or three storeys), and each floor is occupied only by one room. Make sure that you buy one with a small outside space (balcony or a terrace) to enjoy those warm Provençal evenings. You can find charming townhouses full of character from €150,000 and up, but the price will quickly start climbing as you go into the Alpilles or Luberon. I love the Provence area but I don’t have a high budget, I was wondering if I could find an unrenovated barn that I could work on over time? Unfortunately like in many areas that are popular for holiday houses, traditional renovation projects such as barns are now a rarity – and therefore are not cheap. Furthermore if you are not in the building trade, it is nowadays very easy to over invest in such properties. The advice, depending on your budget and what you want from the property, is either to reduce your expectations in terms of what you can purchase in Provence (perhaps a small townhouse in a village with lower demand) or perhaps to look to expand your search are or consider on the many other beautiful regions of France. I love Provence and the weather that comes with it, however one of my main requirements when it comes to looking for a holiday house is easy access. I am wondering if Provence is a bit too far for us from the UK? In terms of distance, of course Provence will be one of the furthest regions of France in relation to the UK, but it is very accessible by air or train. Nice, Marseille and Avignon airports are very active with many direct flights to UK airports as well as great connections to Parisian airports. If you don’t like flying but have access to the Eurostar in London, there are direct trains to Avignon and Marseille and, of course, if you don’t mind a stop in Paris, the TGV line will take you to Aix-en-Provence in less than three hours. Every summer we spend a couple of weeks holiday in the Luberon renting a gîte around Gordes, Robion or Bonnieux. I am now considering buying a holiday house there, however these villages seem to be out of our price range. Are there some more affordable areas in the Luberon? The central Luberon is very popular and therefore quite costly when it comes to property. If you are ready to look a bit further away in the North or East Luberon you will find that the properties you are after might fit in your price range. Places such as Pertuis, Mirabeau or, to the north, Saint-Saturnin-les-Apt, offer the Provençal lifestyle and atmosphere with a more reasonable price tag. If you’ve got your heart set on a French property in beautiful Provence a phone call to the FrenchEntrée Property team is a good place to start.